CAN ANYONE STOP Dublin’s bid for history? Jim Gavin’s men have lifted Sam Maguire every year since 2015 and are now hoping to complete the first ever five-in-a-row in either code. Once again they’re strong favourites to go all the way and they’ll be challenged by the usual suspects. There are new managers in two counties that are expected to be the biggest contenders for Dublin’s throne. Mayo are back under the command of James Horan, while Kerry have double All-Ireland winning minor boss Peter Keane in charge. Mickey Harte’s Tyrone fell to Dublin in last year’s final but remain well-placed to challenge again. Connacht champions Galway will hope to continue their progress under Kevin Walsh as will Donegal under Declan Bonner. Malachy O’Rourke’s Monaghan reached their first ever semi-final last year and are another outfit who could go close. Let us know who you think will be lifting Sam in 2019. Email “Poll: Who’ll win the All-Ireland senior football title in 2019?”. 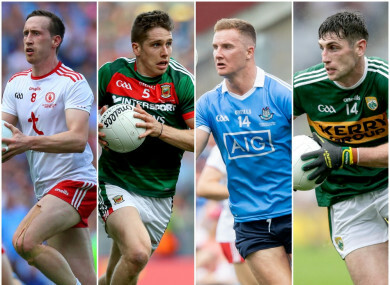 Feedback on “Poll: Who’ll win the All-Ireland senior football title in 2019?”.